Lemmings are small rodents that live in Arctic tundras. 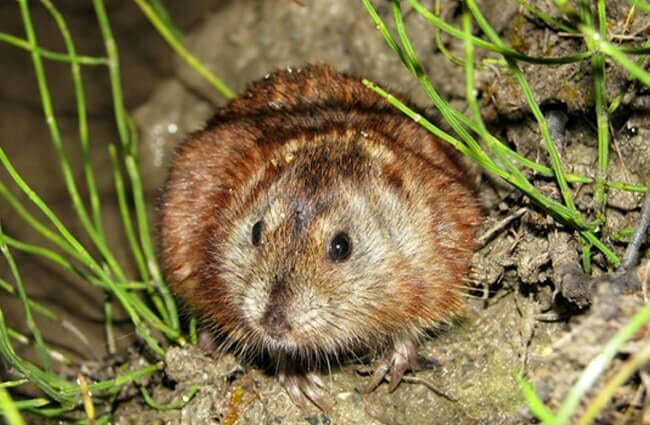 Their closest relatives are voles and muskrats, as they all share the same subfamily, Arvicolinae. There are over 20 different species of lemmings. These little rodents superficially resemble hamsters, as they have small bodies and short tails. 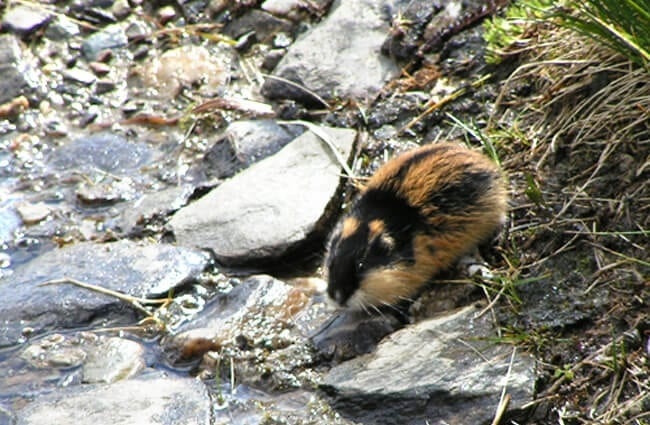 Read on to learn about the lemming. Though they come in many shapes and sizes, most adult lemmings are between five and seven inches long. These creatures rarely weigh more than an ounce. Unlike their relative the vole, these rodents are very round-shaped. They have short tails, short ears, and short legs. On these legs, the front feet have singular flattened claws, which they use to dig in the snow. These furry little rodents are specially adapted to living in frigid climates. Despite their small size, lemmings are important animals! Not Suicidal – Despite the popular myth, lemmings do not jump off cliffs to commit suicide. Sadly, a Disney documentary created the buzz around this myth. The producers of the documentary brought the lemmings to the location, and pushed them off for the shot. Strange History – The Disney producers were not the creators of this myth. Rather, they simply forced the creation of “proof.” In reality, scientists believe there were a number of factors that initiated this myth. Not Mouse-Like – Most rodents are brown or tan colored, and flee readily from predators. However, lemmings are quite different from other rodents. 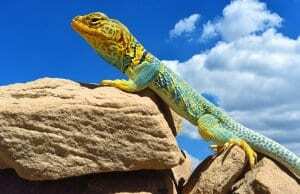 These little creatures do not have camouflage coloring other rodents, they are actually quite dramatically colored. 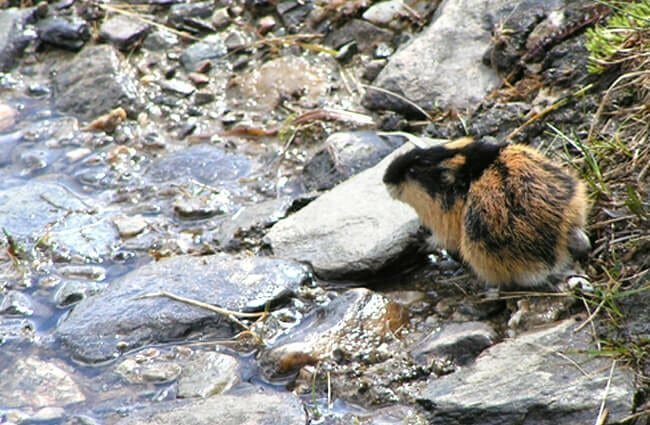 Nor Meek – Again, lemming behavior differs from other rodents as well. When fight or flight kicks in, lemmings choose fight. They are quite aggressive little creatures, and attack humans or predators when confronted rather than running away. 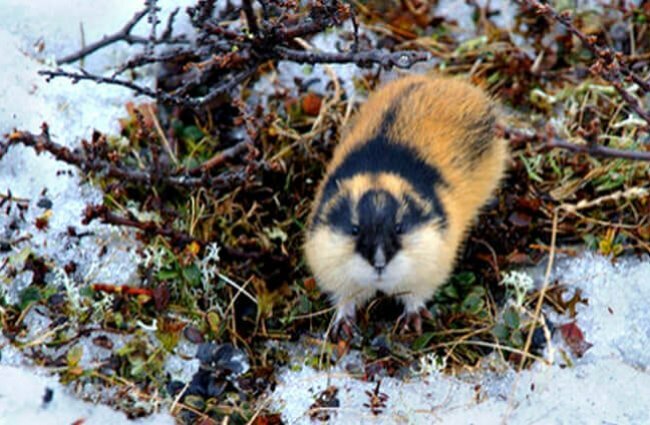 Lemmings live in quite specific habitats, and most species live only in Arctic tundra. This ecosystem is a harsh place, and to survive, lemmings must learn a few tricks. 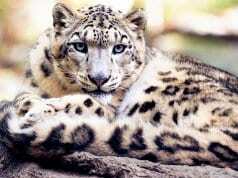 They live in tunnels beneath the snow, and create complex tunnel systems with their neighbors. 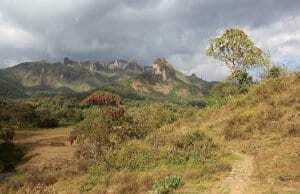 During the spring, when the snow thaws, the lemmings move to the forests and mountains. These mammals reside in the Northern Hemisphere, throughout the Arctic tundra habitat. The various species inhabit the northern reaches of North America, Greenland, Russia, Norway, China, Mongolia, and more. There is a wide variety of species, and each has its own distribution. 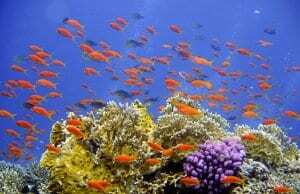 Some species are much more widespread, while others live only in small, restricted populations. 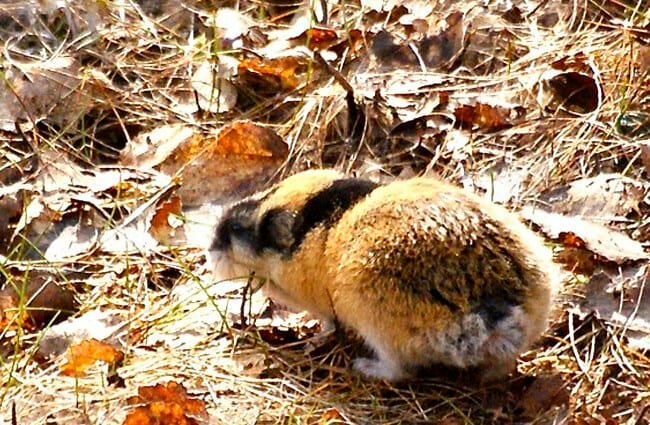 Like voles and muskrats, lemmings feed mostly on plants. 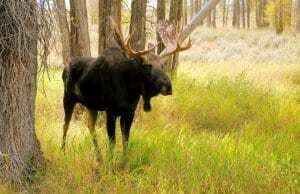 They eat a wide variety of plant species, and feed on grasses, shrubs, leaves, twigs, roots, fungi, and more. During the winter, instead of collecting food in their tunnels, like pika, lemmings dig beneath the snow and search for buried food. 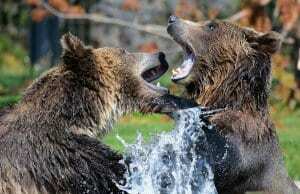 They can eat very tough plants because, like all rodents, their teeth grow constantly. Because these little mammals live in such an unforgiving environment, they do not interact with humans very frequently. 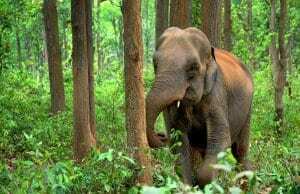 Sadly, humans still impact some species indirectly via climate change and habitat destruction. 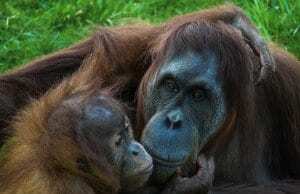 In widespread populations, the impact of habitat destruction is minimal. 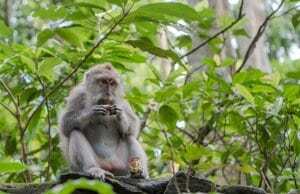 However, the restricted populations are much more susceptible to decline. Humans have not domesticated lemmings in any way. 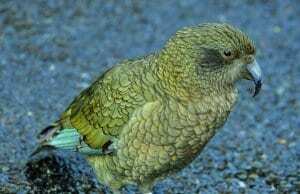 No, lemmings do not make good pets. They are wild animals, and surprisingly aggressive for rodents. Not many zoological institutions house these little rodents. Zookeepers would have to replicate their natural habitats, and provide plenty of tunnels for the lemmings to hide in. Keepers can use a variety of vegetation to feed them, and provide supplements under the direction of a veterinarian. Because they reproduce so quickly in the wild, it is likely that lemmings would also reproduce readily in zoos. These rodents are surprisingly bold little creatures. They have bright colored fur, and scientists believe this fur is a warning of their aggressive behavior. Despite this aggressive nature, lemmings are still prey to the vast majority of Arctic predators. Predators are very reliant on the lemming population, and the predator population can actually decrease with the decrease of lemmings in an area. The exact reproductive strategy of this rodent varies based on the species at hand. Most species breed virtually year-round, even in the winter. 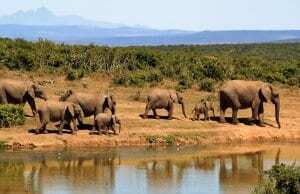 They can have multiple litters of young per year, but the exact number depends on how high the population is. If there are lots of other lemmings around, they breed less. Conversely, if there are few other lemmings around, females breed more. The Inuit people have a number of legends regarding lemmings. In most of these legends, the lemmings either fall from the sky, or originate in the sky. In fact, the Inuit name for lemming means “one who comes from the sky.” This legend caused the Inuits to assume that the little rodents had supernatural powers. 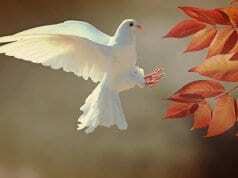 Owls, foxes, birds of prey, ermines, etc.